Sounds really sinister, doesn’t it? Well that’s Beatrix Potter for you – the creator of perhaps the most celebrated rabbit on earth, Peter Rabbit. I recently read an article by a columnist for the Guardian who criticised Potter’s writing, calling her “a creator of a dark, sadistic, bloodthirsty world”. Yes, there’s nothing subtle about her writing and you obviously cannot tell the fragile, sensitive child of the 21st century that a cute furry rabbit was put in a pie by a gardener’s wife. I myself skipped this part when I read the story to my five year old but these stories were written over a century ago when PETA did not exist and even children were made aware that rabbits were a good source of protein (having said that, I’m pretty much against animal cruelty and do not eat rabbit either but I felt the need to defend Potter’s story-telling skills!). 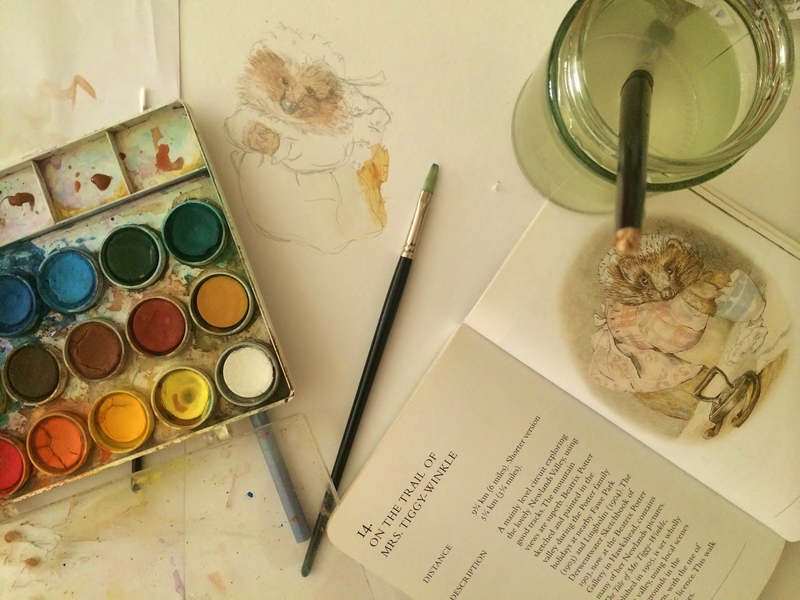 My first encounter with Beatrix Potter was when I was around eight. I had to recite a paragraph from Peter Rabbit for third grade diction. 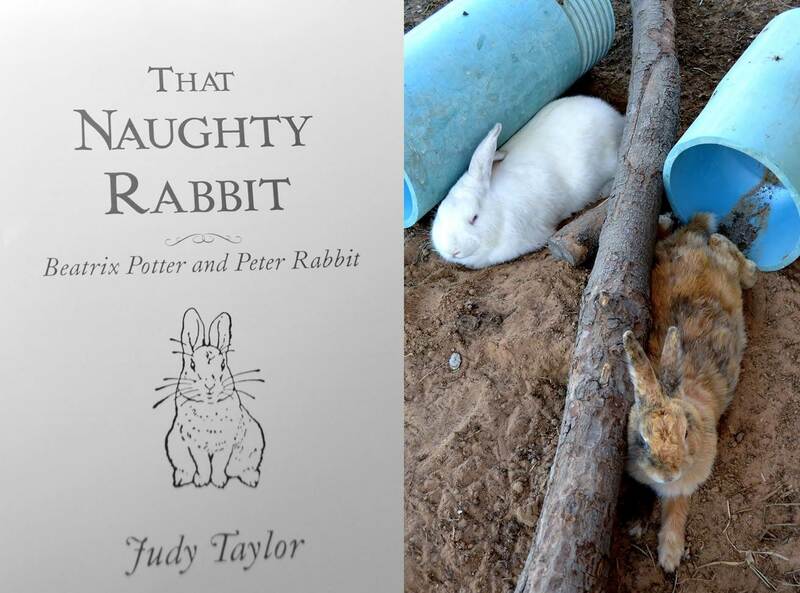 My teacher loved the s-s-c-c--rrrritch…s-s-c-c-rrratch sounds I made of the hoe which scored me extra marks (for those of you who may not know the story, it’s about a naughty rabbit who runs away from home to explore the world and gets into a whole lot of trouble in Mr. McGregor’s garden – he’s not rabbit-friendly as you can see from the above excerpt). Fast forward twenty seven years and I bump into this bunny once more in the movie Miss Potter with Renée Zellwegger doing a brilliant portrayal of the author. As with most authors, Beatrix Potter’s road to success was a rather bumpy one. 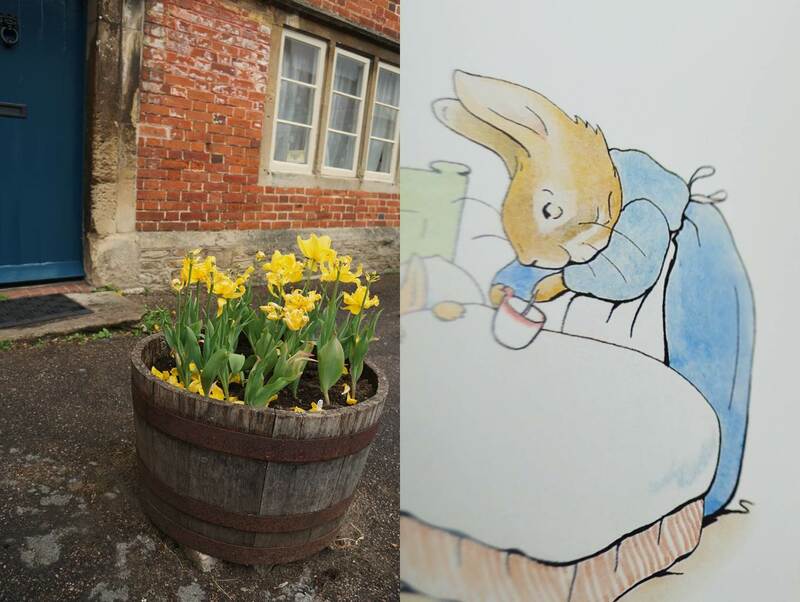 In her twenties she sold illustrated greeting cards in order to make pocket money and around a decade later she put together her first ever story book, The Tale of Peter Rabbit, which was a compilation of letters she sent to her governesses’ ailing son. Unfortunately she fails to find anyone willing to publish her work. Not to be deterred, she self-publishes the book, which proves to be an instant hit among family and friends. A year later, with a little help from a family friend she secures a contract with Frederick Warne & Co (who has been publishing her books ever since) and the rest, as they say, is history. 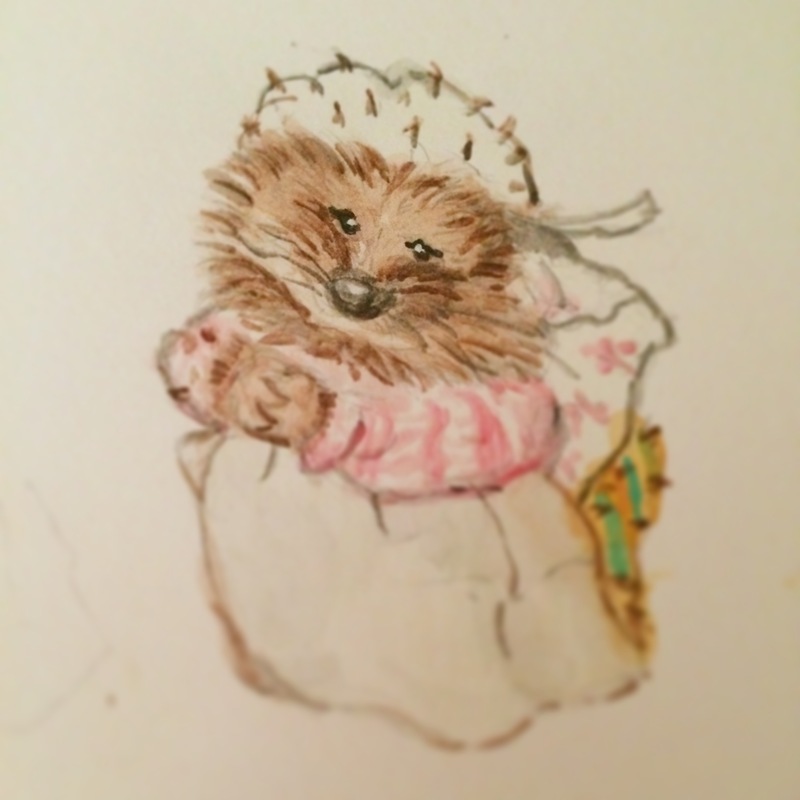 Attempting a Potter illustration: Mrs. Tiggy-Winkle – another one of her woodland creatures. 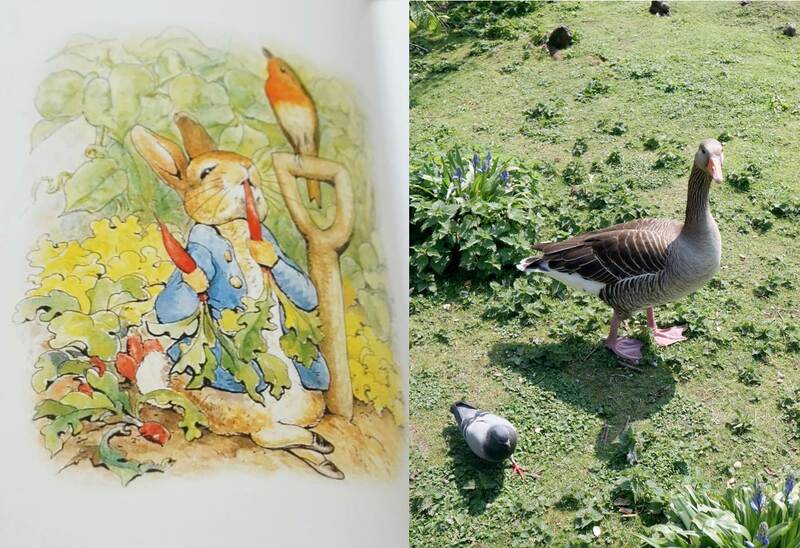 More than her stories, it was Potter’s illustrations that had me running to book-stores looking for her books – how gorgeous are those whimsical and atmospheric watercolour drawings of the English countryside and blossom-filled gardens dotted with rabbits in blue coats and ducks in bonnets! 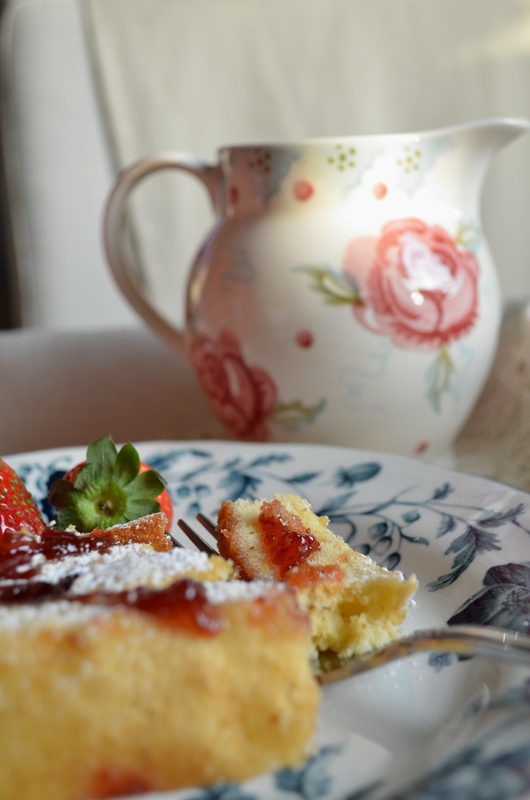 You know that clichéd question people ask in certain interviews: ‘Which celebrity or famous person would you invite to tea?’… at the risk of sounding terribly old-fashioned (heck, I’m Gen-X!) 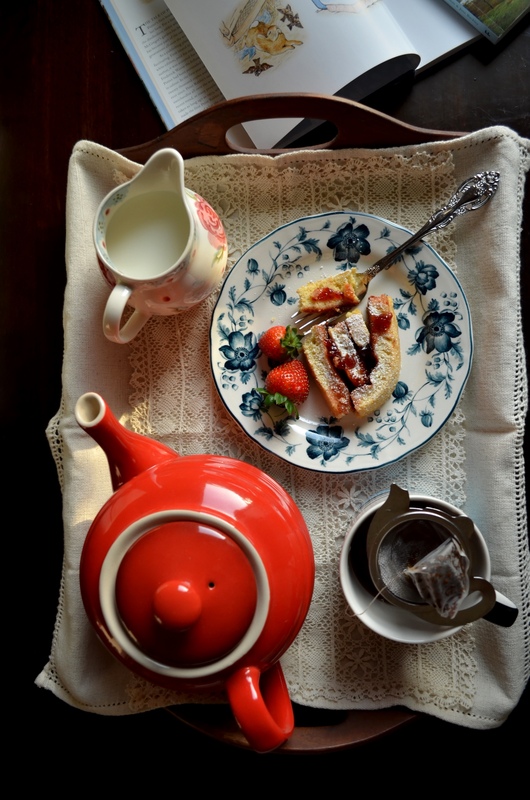 I might just say ‘Beatirx Potter, of course!’ To do so I’ll have to wait till the time machine is invented, so I did the next best thing – had a Potter inspired tea made up of a rather cracked but delicious jelly roll, freshly brewed tea and a histoire of BP’s publishing adventures. First sift the flour and baking powder into a roomy mixing bowl, lifting the sieve quite high to give the flour a good airing as it goes down. Then add the butter, eggs, caster sugar and vanilla extract, and using an electric whisk mix to a smooth creamy consistency for about one minute. Next, spread the mixture evenly in the prepared tin with the back of a tablespoon. Bake it near the centre of the oven for 14–15 minutes or until it feels springy in the centre. While it’s cooking prepare everything for the rolling operation. Spread out a damp tea towel on a flat surface (have a second one ready for later), then on top of the tea towel place a sheet of baking parchment that’s about 2.5cm larger than the tin. Then sprinkle caster sugar all over the paper. Now carefully and gently strip off the liner, take a sharp knife and trim 3mm from all round the cake. 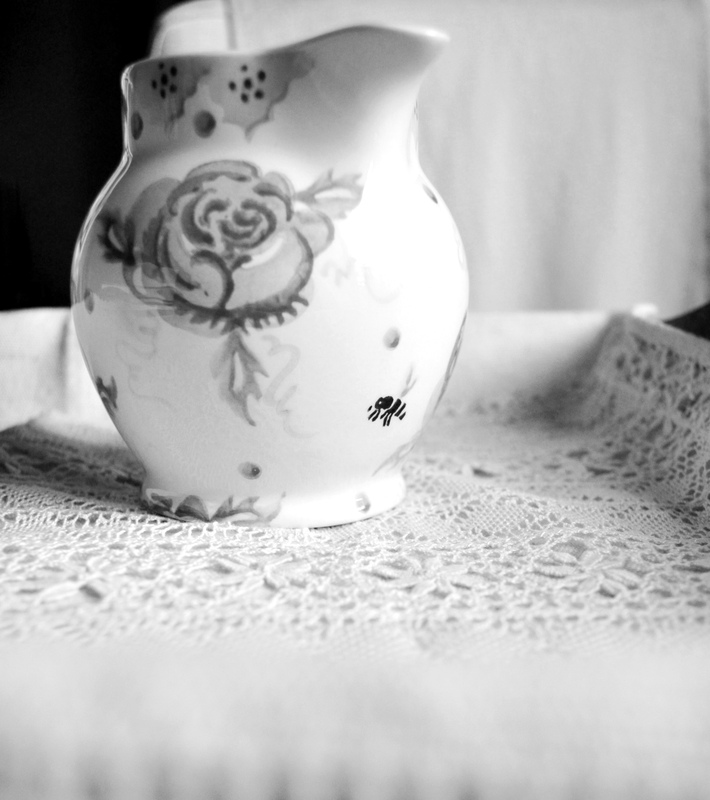 This will make it much neater and help to prevent it from cracking. 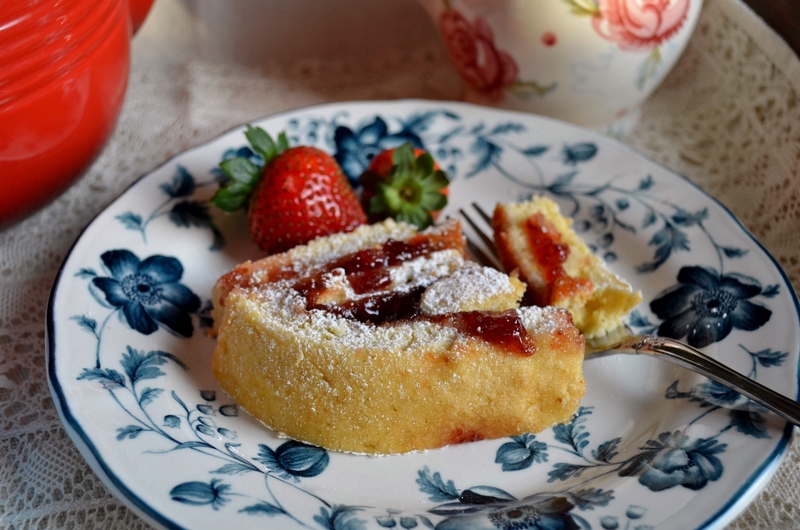 This entry was posted in Baking, Desserts and tagged Baking, Beatrix Potter, Jelly roll, Peter Rabbit, Swiss roll. Bookmark the permalink.